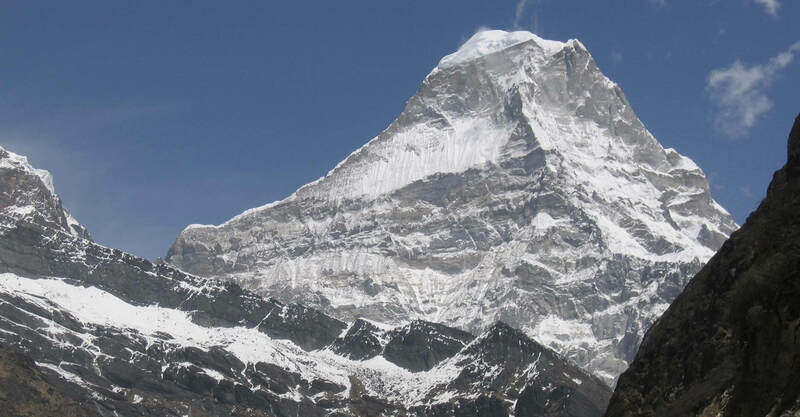 Himalayan Ascent will again be undertaking an expedition to climb two of Nepal’s most popular trekking peaks. Standing at 6,460 m, Mera Peak is the classic Himalayan trekking peak. Never steep enough to get too scary, but at a seriously high altitude, Mera Peak is a great introductory climb for those looking to test the waters at high altitude. Island Peak, whilst being a bit lower at 6,189 m, is a little bit more exposed, allowing you to consolidate the skills you have learnt on Mera. Our expedition starts in Kathmandu, and after a few days of sightseeing and preparation we fly to Lukla, the beginning of our mountain journey. From Lukla we immediately head off the beaten track and away from the busy Khumbu Valley by crossing the Zatrwa La to the quiet Hinku Valley. A pleasant few days are spent hiking up the Hinku until we reach Mera Peak base camp, and Mera La. 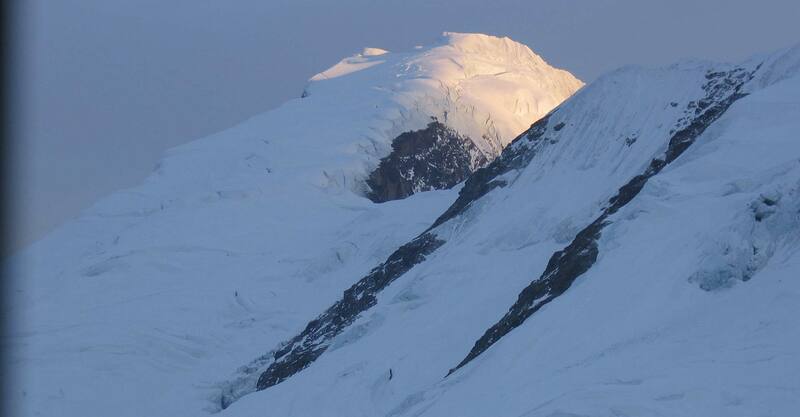 Above Mera La we place our high camp, from where we launch our summit push in the early morning hours. From the summit of Mera Peak you will be amazed at the stunning view. 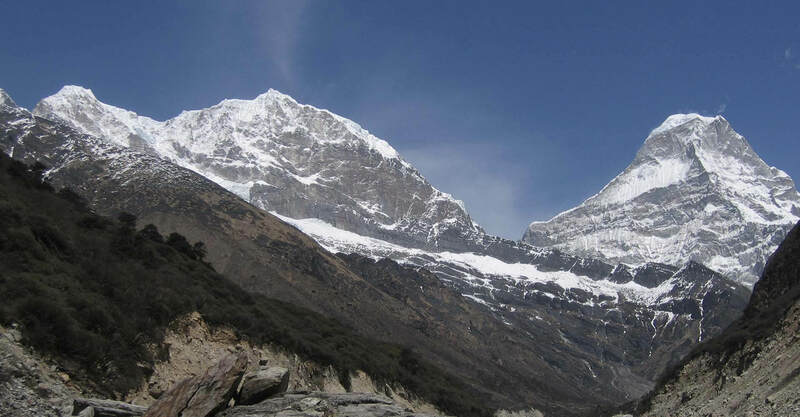 Lying a little to the south of the main Himalayan Range, you will be offered the full Himalayan panorama, from the Langtang region and Cho Oyu in the west, taking in Nuptse, Lhotse, Everest, Baruntse, and Makalu, to Kangchenjunga in the far east. From Mera Peak we heard into an even quieter valley, the Honku, where we experience true Himalayan wilderness. We spend a day crossing the high and tricky Amphu Laptsa before re-entering the Khumbu and the crowds of trekkers and climbers that go with it. We tackle Island Peak via the normal route, directly underneath the imposing south west face of Lhotse, the fourth highest mountain in the world. After this we head back down the Khumbu, passing through numerous Sherpa settlements, including Dingboche, Tengboche and of course Namche. Before you know it you’ll be back to the hustle and bustle of busy Kathmandu, were a nice warm shower and your onward flight awaits! We expect our participants to be competent in the outdoors, with previous hiking and overnight camping experience. Prior experience in mountaineering and altitude is recommended, but not mandatory. Note : Himalayan Ascent can also provide a base camp only service – please contact us to discuss your needs.